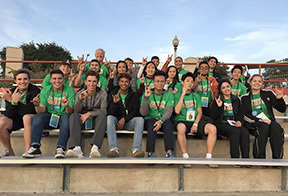 The Green Fund, formerly Green Fee, is a competitive grant program funded by UT Austin tuition fees to support sustainability-related projects and initiatives proposed by university students, faculty or staff. 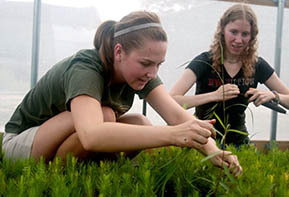 Each student contributes $5 per semester and $2.50 per summer session to the Green Fund. Funds are awarded each May through an annual grant competition. A student majority committee solicits and reviews proposals and awards Green Fund grants. Since the program’s creation in 2011, over 160 grants have been awarded totaling over $3 million dollars. How do I Apply for a Green Fund Grant? Please apply for the Green Fund (general and student research, and please include the budget) through February 17, 2019 at midnight. If you have questions about the application process, check the FAQ, attend a workshop (see below) or contact the Green Fund Program Coordinator. 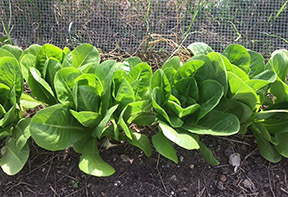 Economics senior Joy Youwakim is interested in maximizing land use, so she is growing food on top of a local landfill ... and testing for heavy metals. Read more in The Daily Texan. 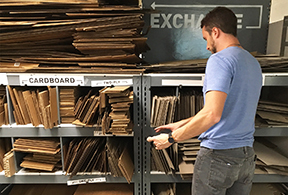 The School of Architecture used Green Fund to launch a give-and-take system in their Materials Lab as part of UT Austin's 2020 zero waste goal. 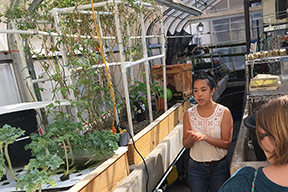 Using a Green Fund grant to convert two UT greenhouses, Engineers for a Sustainable World are working to grow food without soil. Read more in The Daily Texan. 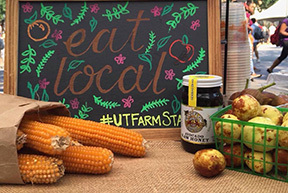 The UT Farm Stand provides a pipeline to fresh, local produce as well as information about food preparation, nutrition and other items. Read more in Orange. 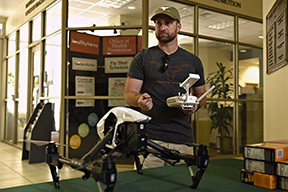 UAVs are in use to conserve irrigation water on campus. Read more in The Daily Texan. The Sustainability Squad sorts waste after football games in Darrell K. Royal Stadium, diverting much from the landfill. Read more in The Daily Texan and from Texas Sports. 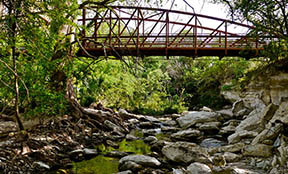 The Waller Creek Working Group had Green Fund grants in 2015 and 2017. 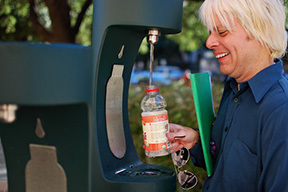 Green Fund grants have established water bottle filling statons on campus, as noted in this 2013. Read more in The Daily Texan. A tree nursery developed at Lady Bird Johnson Wildflower Center was funded by Green Fund, as told in this 2012. Read more in The Daily Texan. If you are a current grantee and need to amend your budget, scope, or project timeline, please use this Project Amendment Form [MS Word;.docx] and Budget Sheet [MS Excel; .xlsx]. Instructions for submitting the amendment are on the form.